The whole team has been professional and friendly, and I was impressed with how quickly someone was able to come out both to assess the problem and to treat it. I will definitely be using the company again when we need further rooms assessing. We are very happy with the work. Sandy was very helpful and explained clearly what needed to be done. The work was booked and completed promptly. The room was left tidy and clean. Thank you very much. I am extremely pleased with the work and service from start to finish. Having the guys in and started within 2 weeks of my initial enquiry was very impressive. John and Shaun were knowledgeable and friendly and worked very quickly to ensure minimal disruption. Gavin kept me updated throughout and they always asked before carrying out additional works. Appreciated your works and services. Your company was the right choice. My experience with The Preservation Company was very good. An efficient and professional service, provided by helpful staff. Nice people to deal with. Thank you........ If the company ever require testimonials etc I would be willing to supply glowing ones. Every aspect of the work was handled in a very satisfactory manner. The service has been excellent, the work carried out to a high standard, the men are friendly and helpful and they always do such a good job at clearing up after themselves! We now know that when baby arrives we can bring him/her home to a dry/dust-free environment. The guys who carried out the repair work were very professional, helpful and courteous. They made a great effort in clearing up, in the hall and vestry..Thanks too for your help,it's been good to be able to 'phone knowing that there will be someone interested at the other end! Thanks for the service.I'm very satisfied with the work which was carried out efficiently and to a high standard. Your team were friendly and were tidy as they worked. Following a personal recommendation; the service we received far exceeded our expectations. In spite of the short notice the work was completed promptly to an excellent standard and well within budget - we were impressed by the whole team - thank you. I wanted to say thanks a lot for the fantastic job you all have done to repair the water damage in my ceiling. I felt well advised and the quality of the work has been to the highest standard. I will certainly recommend you and will not hesitate to use your services again should need be. I would like to say, any dealings I've had with this company have been friendly and professional and the work is first class I'm so pleased, I would happily recommend you all to anyone who needs this service. Just wanted to say really happy with the work the last 2 days, really good work and very efficient. Delighted. Problems were explained clearly by a very knowledgeable Gavin. Really appreciated the way he handled the situation and trusted him to see the job done.Will be confident to recommend The Preservation Company in the future. My experience was very good. The company was recommended. Everyone was prompt, polite and friendly. Questions always answered quickly and helpfully. Would definitely use the company again, and recommend to others. This is the 'go to' company for high quality work at fair and reasonable cost, and has credibility with those in the know like surveyors, the construction industry and estate agents. I commend the company to anyone who values professionalism, value for money and thoroughness. Can we take this opportunity to thank you all for the works done on our home. All the workmen were exceptional and a special thanks to Martin, Davie and Shaun. We have been delighted with the work carried out by The Preservation Company. From beginning to the end it was efficient and friendly. I would recommend the company to others, just as our neighbour recommended the company to us. First class, fast, efficient and good value for money. When "disaster" struck, the team offered a quote within hours and started the work within 24 hours of the quote being accepted by the loss adjuster - that really is a fast and very responsive service! Delighted , both by the friendly team you employ and the standard of work carry out. The cornice guys were truly master craftsmen, it is impossible to spot where the new moulding has been replaced. and with silk like finish on the walls, I have never seen such perfect plastering. We only dealt with Gail who was very professional and extremely efficient, couldn't have asked for better. My father dealt with the guys on site and had absolutely no complaints. Thank you for providing a very personal and thorough service. I will be happy to recommend your company. We were very happy with the work and service provided by the Preservation company and will not hesitate to work with you again. The work was undertaken quickly and completed to a high standard. We are very impressed and would have no hesitation in using their services again or recommending them to others. Having a dedicated customer liaison person (Gail) meant that queries were dealt with quickly and efficiently. Costs were comparable to a 2nd quote received but the service was far superior so the overall value for money was excellent. Friendly, efficient, honest and reliable. Having a dedicated customer liaison person (Gail) meant that queries were dealt with quickly and efficiently. Costs were comparable to a 2nd quote received but the service was far superior so the overall value for money was excellent. Friendly, efficient, honest and reliable. All the team were helpful and as unobtrusive as possible, in what was a messy, awkward job. The preservation company was recommended to me and they did not disappoint. From the first contact with Gail through to the workmen themselves, everyone did what they said they would do. I'm very happy with the job and they were definitely value for money. The preservation company was recommended to me and they did not disappoint. From the first contact with Gail through to the workmen themselves, everyone did what they said they would do. I'm very happy with the job and they were definitely value for money. It was an absolute pleasure working with you and we hope our paths cross again; we are appreciative that they already did. Huge thank you to everyone at The Preservation Company. We were very happy with the service. Gail was always available on the phone and the chap who did the work was very polite and efficient, considerate of our property and belongings, and even tidied up after himself. We were most impressed and would definitely use the Preservation Company again. A quick note to say how brilliant your company is, the quick response, excellent work, friendly,efficient and also what a clean job (in a house with 3 children under 6 it's most appreciated!). The price was more than reasonable for the work and I am very very happy! Just to say thank you for the ease of communication and for the work you did in the short timeline I had available, it all looks super, and Im glad to have had a company like yours working to protect my house. I am very pleased with the work which was completed in a very professional manner from start to finish. The Preservation Company was recommended to me by a competitor that could not complete the work required due to time scale... You turned thing around and arranged a quick survey... I am very pleased with the work which was completed in a very professional manner from start to finish. Your operatives were always ready to explain exactly what was being done and has completed the work to a high standard, please pass on our thanks. We were pleased with the work, everything went really smoothly and quickly and there was minimum disruption to the office. Thank you for all your help to date. I'm hoping that we won't need you again, but if we do, I know where to come for reliable, quick and excellent service. I was seeking a personal recommendation from a trusted source whom I have done business with before. Shepherds Chartered Surveyors recommended you guys. You were very easy to make communicate with and the management of the job was very efficient. We heard about your company from word of mouth of people who had used your services. We were very pleased with all aspects of your service. I think that's really all we need to say! Everything went very smoothly, thank you. We have really appreciated your friendly and efficient service. Everything went very smoothly, thank you. We have really appreciated your friendly and efficient service. Thanks very much. We found TPC by reputation and recommendation from a friend - We are very happy with the efficient and professional manner in which all works were done. The Preservation Company are pleasant and reliable to deal with and we will come back to them when dealing with the next room on the list ! Having used The Preservation Company via my work at CKD , it was an obvious choice to use them for my own property. I knew the job would be done well but it was a pleasant surprise to come home when they had finished and find that they had left the house spotless and exactly as they had found it. I want to thank you all at The Preservation Company for the excellent work you have done. Gail became my contact for any queries and along with Gavin's continual involvement, supervision and excellent advice, I found this very reassuring. The Preservation Company were professional, prompt and very efficient. Great service when very few companies do offer a decent service these days ! I am very happy with the service received, especially the turnaround time to complete the works. TPC has been fabulous to work with, responding quickly and working around any obstacles we have encountered. Gavin is flexible in approach and offers a real personal touch. The work carried out has been done quickly and thoroughly and meets, or indeed exceeds, our expectations. The Preservation Company arrived promptly and carried out the works in a proficient and professional manner. The team took into account that there was a young baby on the premises and kept the dust and mess to an absolute minimum. This is a company who discuss the problem fully, listen to the concerns of the customer, carries out the work to the timescale agreed, in a tidy and efficient manner. Hats Off !! I like the professional service and result. Thanks for doing what you said you would do, its a rare thing nowadays !! TPC could not have been more helpful and accommodating. Every member of the team I dealt with, was extremely professional, helpful and friendly. There is obviously a good team spirit and a strong focus on customer satisfaction, something that is all too rare these days. TPC were extremely professional. Estimates were given promptly, deadlines met and the work carried out,was of the highest standard. The team tidied up after themselves at all times and restored the walls such that once painted you would never have known they had been working there. TPC were prompt , efficient, friendly to deal with and very thorough. We had 4 different opinions on our problem, which had cost us time and money. TPC offered the most comprehensive solution. Minimal fuss, attentive service, tidy workmen. Excellent service !! Our enquiry was acted upon promptly and we are delighted both with the all the tradesmen who kept us informed throughout the duration of the works and with the standard of work. They were a "cheery bunch" and nothing was too much trouble to them. We would have no hesitation in recommending your company to other customers. Very happy with the price and the work. The team worked around us, and we didn't expect to have such a good service with the price that we paid. The work was exactly what we wanted and the team provided an excellent service and were friendly, helpful and pleasant. We found The Preservation Company to be efficient, knowledgeable and honest. Gavin was very clear in his findings at the inspection and the whole team displayed excellent customer service skills. Good people to deal with, who do a value for money job. I thank you for the speed and thoroughness of the initial survey and report, for the speed with which you were able to put the work in hand and compliment the men who did the work on their efficiency, tidiness and good nature. I would have no hesitation in recommending The Preservation Company. The Preservation Company were easy to make contact with and dealt promptly with my enquiry. I would recommend The Preservation Company to others. Very efficient and very tidy work force. We will be recommending you to our clients! From initial survey to completion, all work was carried out efficiently and to a high standard. Excellent communication throughout. From a business point of view the job was done very well as it was done to fit around our opening hours and to cause as little disruption as possible, and you even took care of the final re-painting of the walls and the shelving - not nearly as disruptive as I thought it would be! The work was carried out professionally and I would recommend your services to other. I was really impressed with how quickly you turned around preparing the survey and heartily recommend your professionalism to anyone we know. Thank you so much for all the hard work done in our flat and for completing it all in time for me to manage a good Easter let. If they had seen it two weeks before they wouldn't have believed it to be possible! The Preservation Company are efficient and professional. They completed the work ahead of schedule with minimal disruption to the property. Everything was returned to its original standard. They get the job done! I would like to thank you and your colleagues for the excellent job. The speed and efficiency of the work carried out was fantastic, and made the whole experience much easier than it could have been. The boys were extremely tidy and professional in their dealings with us. I was very pleased to have contracted The Preservation Company Ltd to undertake the timber treatment work within the roof spaces in Muckhart Parish Church. Removal of cupboard and wooden lintel achieved with minimum damage to ceiling, the tough work of getting out all the stonework in the fireplace done with perseverance and cheerfulness and the plastering done with great care and skill. I was very pleased with the quick response time. Gavin came to my house within a day or two and then gave me an estimate within another day. The two workmen who did the initial work were both very pleasant and tidy, as was the plasterer and his assistant who came two days later to finish the job. 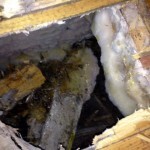 http://www.thepreservationcompany.co.uk/wp-content/uploads/2015/05/Dry-rot-2photo4-150x150.jpg 150 150 Gail http://www.thepreservationcompany.co.uk/wp-content/uploads/2012/04/logo.jpg Gail2013-11-28 10:46:592015-05-13 07:42:38Ideal Dry Rot Conditions? So what do you get for the price of a survey? 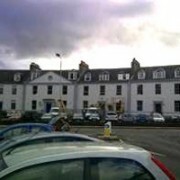 http://www.thepreservationcompany.co.uk/wp-content/uploads/2015/05/Gavin-at-back-of-car.jpg 225 225 Bryony http://www.thepreservationcompany.co.uk/wp-content/uploads/2012/04/logo.jpg Bryony2013-01-15 08:41:532015-05-13 07:47:41So what do you get for the price of a survey?